This morning, I opened my bedroom window to familiar bird songs and a delicious barbecue aroma (well, I must admit that I woke up a little late …). But it doesn’t matter, it just smelled like summer, the holidays and travel, and it made me feel like going on an adventure. And the timing is perfect because Misencil has already planned to take us across the ocean. After inviting us on a tropical adventure last month with its exotic beach bag, it now takes us to the streets of Paris with the launch of La Parisienne mascara. A jewel that sheds new light on how we apply makeup, and which certainly makes us feel akin to Brigitte Bardot. Its nylon and silicone brush glides through the lashes and wraps around each one with maximum flexibility. It threads its way to separate each lash and gives them the curvature and length you always dreamed of. Even so, what I really fell in love with is its 360-degree sphere. Imagine an already high-performance brush tipped with … a makeup pearl. Imagine a small sphere that imparts to less agile hands the dexterity of a professional makeup artist. A real joy, this sphere will let you target specific sections of your eyelash line, adding perfect density at any angle. 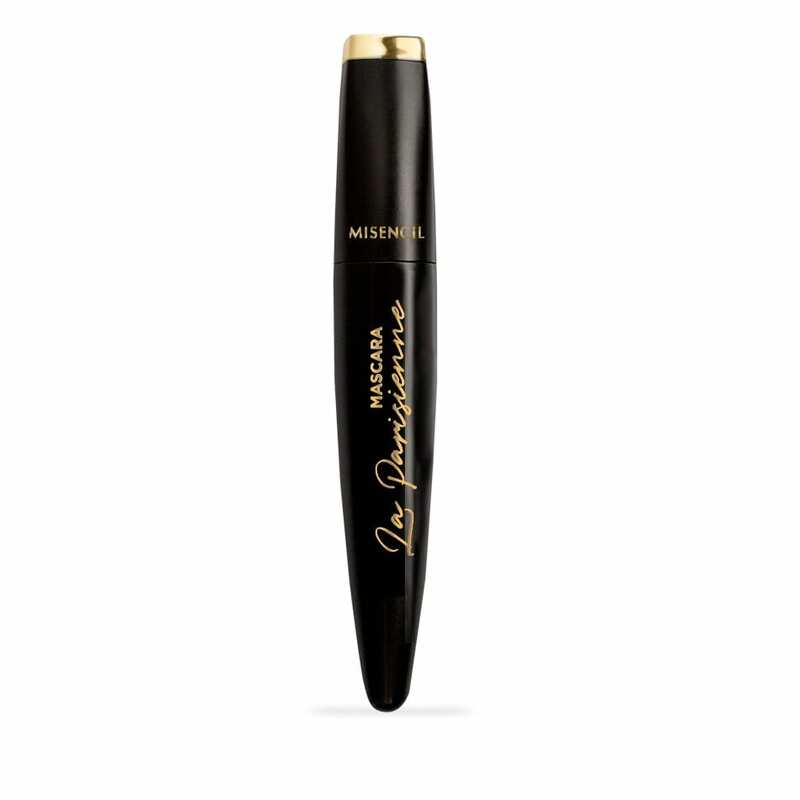 You will excuse the clever word game, but this mascara is a precious pearl! Gone are the days when we had to twist our wrists every which way and make the funniest faces to reach all our eyelashes. This ball of fire works its way to each one of our lashes, even the most discreet, and magically densifies the sparse areas. The recipe for happiness lies in its formula specifically designed for compatibility with natural eyelashes and eyelash extensions. A magic formula, in a deep shade of black, for those times when our natural eyelashes regenerate and begin to fall. In addition to filling the areas where eyelashes are sparser, abracadabra! it even adheres to those baby lashes. Application is as easy as pie. We slide the long brush through all the eyelashes in a down-and-up gesture, we repeat this movement until the desired density is obtained and then let the 360-degree sphere operate its magic by simply stroking the sparsest areas or those that need to be accentuated. And that’s it! We treat ourselves with a personalized makeup according to our morphology, to the evolution of our eyelashes and to our daily inspiration. It’s as easy as 1-2-3. Say hello to voluminous, curved, long and defined eyelashes, from all angles. And say hello to the dormant Parisian within each of us. Thanks to this new kind of mascara, our eyelashes will be as panoramic and vertiginous as the Eiffel Tower! Have a nice trip to Paris girls! 2991, de la Pinière Blvd.